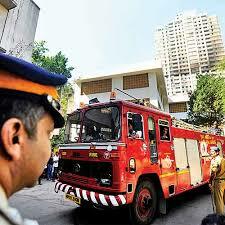 PUNE: “We are not getting proper land to build a fire station. And this is the major reason why there are not enough fire stations in the city of approximately 55 lakh population. Meetings to find plots of land are underway, and accordingly we will take things ahead,” said Pune chief fire officer Prashant Ranpise. He was speaking at a seminar on ‘My Society Safe Society‘ at the Boat Club. “Fortunately, fire incidents have been going down during Diwali. This year, we have seen a further dip in the number of calls we got on Laxmi puja day. While it was 17 calls last year, this year it has come down to 13 calls. The next day, it had been seven calls, and none of them were major incidents. This sheds a light onto the fact that attempts to spread awareness by various organisations and by this department has borne the fruits,” he said. Elaborating the current infrastructure, Ranpise said, “Currently, we have manpower of 490 trained people and 13 fire stations across the city with 73 vehicles. But, for a huge city like Pune, that is not enough. Ideally, Pune should have 30 fire stations with over 100 functional vehicles and manpower of 1,500 trained professionals.